Vaping has a wide range of options for E-liquids or E-juice. Using an electronic cigarette, you can customize your vaping experience easily. 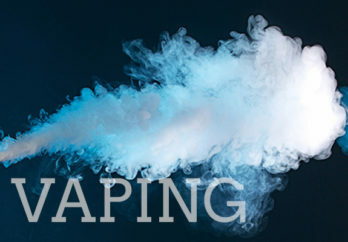 E-liquid is the compound that produces the vaping aerosol. A vaper can choose the flavor, content, and even the consistency of their smoke by changing the e-liquid. This means that choosing the right e-liquid is a very personal decision. As a new vaping enthusiast, your choices might seem a little overwhelming. However, you can learn how to choose the right e-liquid for vaping below. To have a good vaping experience, you need to pick the right level of nicotine for the liquid. Nicotine in e-fluid is measured in mg. 12 mg is roughly the same amount of nicotine in a single cigarette. If you are moving from smoking to vaping, this is a good place to start. Ideally, if you are using vaping to quit smoking, you can choose a slightly lower nicotine level. However,a lower amount of nicotine may not satisfy your urge and lead you to smoke again. It may take some time to adjust to the right nicotine level for you. Of course, if you haven’t smoked before vaping, you should look for 0 mg liquids. Otherwise, you may become addicted to nicotine. Consider your health needs as you pick a nicotine level for vaping. The quality of your smoke is determined by the VG/PG ratio in your e-liquid. This is the ratio between vegetable glycerin and propylene glycol, the two basic components of the vapor. VG vaporizes the liquid, while PG carries the nicotine and flavor. Higher VG produces a better smoke, but also produces a sticky residue in the e-cigarette. Meanwhile, a higher PG gives a better delivery, but can trigger some people’s allergies. The most common e-liquid is offered at 50/50 or 60/40 ratios. If you have a specific preference, there are several custom e-liquid producers offer very specific ratios. You will now have to pick a preferred flavor for your vapor. Artificial flavorings mean that your e-liquid can taste like just about everything. Basic flavors include traditional tobacco and methanol, mint, and fruit flavorings. You might want to start out with a flavor that you are already familiar with. Single flavor e-liquids are some of the most popular out there. Then, you can add combinations of other flavors to something you already enjoy. This is very popular for e-hookahs. Moreover, e-liquid companies produce a huge range of exotic flavors. These tastes include everything from baked goods to favorite dishes. Depending on your personal preference, you can start with a single flavor and try blending them together. In addition to ratio and flavor, you should consider where your e-liquid comes from. The producer should have professional equipment and a clean environment to avoid any contamination. With the many concerns about the ingredients that go into e-liquids, you should buy premium e juice brands that have a trustworthy brand and reputation. This gives you peace of mind that your e-juice is not exposed to harsh chemicals, pesticides or other harmful elements. When looking for the right e-liquid, vapers should choose products that have transparency about their production process. The best way to refine your e-liquid is to take time and test. In the end, only experience will tell you which choice is right for you. To accommodate this, most e-liquid developers offer smaller test sizes, like 15 mL bottles. This amount will give you one or two uses, in which you can decide if the mix is right. If you are undecide still, you can order some more test packages. Other companies will can send you variety packs, with multiple flavors and mixes for one price. It will take time to try all the options, so you do not have to rush this test. Keep testing until you find the perfect e-liquid for you. These steps will help you choose the right e-liquid for you. From the wide range of options, choose a nicotine level that fits your need if you are currently smoking. Next, determine the VG/PG ratio that will create the heavy or light vapor consistency you would like to have. Once you have the right ratio, choose one of the thousands of flavors available. If you find multiple producers for your e-liquid, learn about their production process. Finally, keep testing flavors until you find the perfect one. With these steps, you can choose an e-liquid that perfectly meets your vaping preferences.